We’re still cleaning up the house, trying to find space for things, unpacking. I’d say we will be for another few weeks. There’s a good side to every thing – even if it is as unattractive as having to clean and unpack stuff. Today we found a block of paper covered by a really interesting picture. 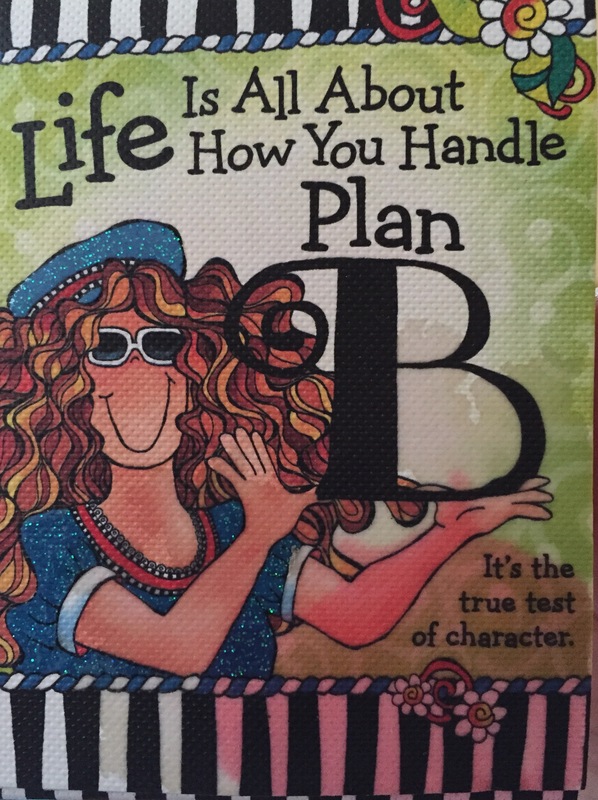 It said: Life is all about how you handle Plan B. And I thought Plan B was only for those who are incapable of following their master plan, doing what they really wanted to do. I thought Plan B was for losers, ‘fracasados’, Gescheiterte. Those not smart enough, not strong enough, not determined and not focussed enough. I always thought life was all about how you handle Plan A. What do you think? Plan A? Or Plan B? Weekend is chill out time. Getting up a little later than usual. Having visitor calling in. I think Pádraig is really enjoying the days back home home. There’s things going on. There are conversations. Smells – nothing like the smell of burned sausages. And there’s the panic of someone who has to be in town 15 minutes ago, where is my phone, where are my keys, oh no, I can’t find them, could you look, could you give me a lift in, please, I’m going to be late. I had completely forgotten about this manic panic that had been part of our house, of our lives forever. Not in Hamburg though. An while it really gets to my nerves all this panic I’m also enjoying it in a weird way. Because that’s life too. Life isn’t organised. If you think you could control life, it’s time to go and see a psychiatrist. 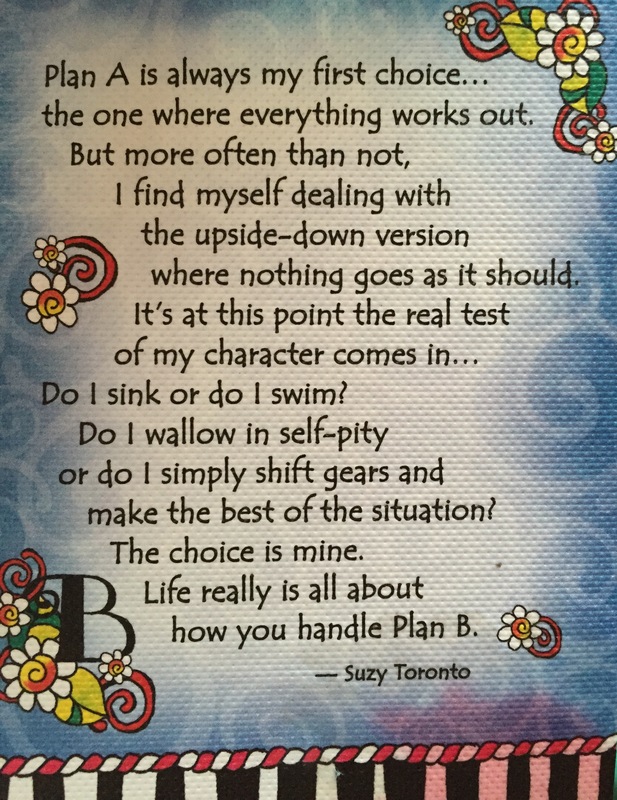 Which brings me back to life being all about how you handle Plan B. And this is what the other side of this nice picture above said. Life *is* all about how you handle Plan B. It’s about what you do when things don’t go ‘your’ way. It’s about choices: sink or swim? And you know what the Dreamboat did!! !